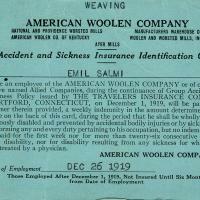 An accident/insurance card issued to employees of the American Woolen Company. This card was issued to Emil Salmi, dated December 26, 1919. Paper, 3.5 x 5.5 in. 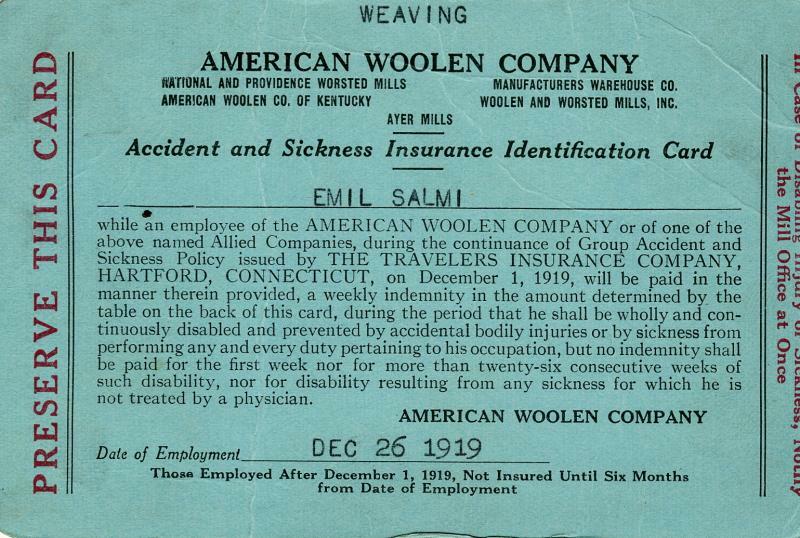 “American Woolen Co. Accident/Insurance Card - 1919,” Maynard Historical Society Archives, accessed April 24, 2019, http://collection.maynardhistory.org/items/show/6280.